Blessed Vibrations ina Spring time. This is the time of the "Sakura", the time of the year when the cherry trees blossom. 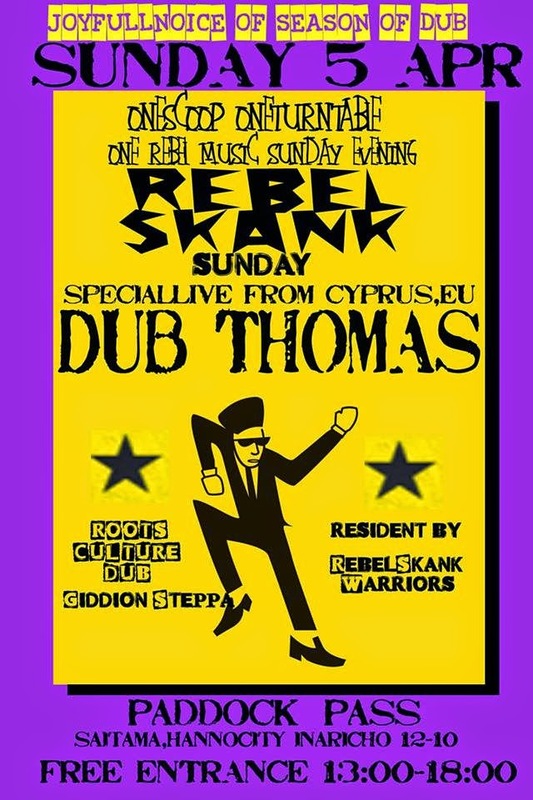 Dub Thomas representing the Dubophonic family, travels from 4-17th April to the land of the rising sun to spread the positive vibrations and promote the sound of our family. What a perfect time to enjoy the awakening of the Spring and do with our Jah-pan family some joyful dub sessions. We start on the 5th of April 2015 with Rebel Skunk Sunday, a five hour live session, from 13:00 - 18:00, in the town of Hanno, Saitama Perfecture, Tokyo. Hosted by the Rebel Skunk Warriors (Jahvaneeze, Deeco, DubLaugh/SkyBirdSound) and alongside Direct Impact, we let the vibes flow at Paddock Pass. One Scoop, One Turntable, One Vibe! Powered by the Yellow suite Mini Set ina rebel skunking style! Free Entrance! Run and Tell evryone! Next stop: the Tokyo metropolis. 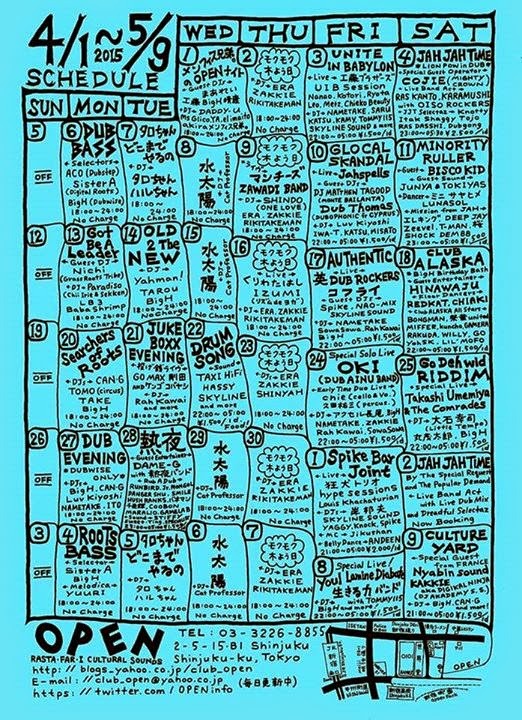 It is a blessing that the Dubophonic sound will be blasted through the soundsystem of the oldest and most respected reggae club in Tokyo, Club Open, located in the bustling Shinjuku district. On the 10th of April come ina di dance and enjoy an all night session of Rasta-far-I culture sounds with lives by the band Jahspells, guest djs Mathew Tagood (Monte Bailanta) and Dub Thomas (Dubophonic) and resident Dj's Luv Kiyoshi, Iwa-T, Katsu, Misato and our bredren Big H, father figure and originator of the japan reggae scene. We then travel back to Hanno City on the 12th of April in a place called "Ebisu Cafe" and from there we do a special radio broadcast for Versionist Radio alongside Direct Impact and many special guests in an open mic style. All tribes are welcome to join us, but even if you are not in in Japan, just tune in from 11:00am - 14:00pm UK time and celebrate with us on this special day, Dub Thomas celebrating his 50th birthday. So if you are near just drop by and be part of the party! Time is nah family! Blessings to all who supported us in this times of tribulation and especially to Direct Impact, Versionist Radio, Irie Mag and Club Open (BIG UP brother Kudo-san) for your valuable contribution helping us on this mini tour. More coming soon!